Globalization has left the world with a lot of good and at the same time it has produced new ideas and trends in droves. Flyers have taken the global leap from festival novelties to global pieces of marketing. They are now part and parcel of Dubai’s ever growing global culture. Flyers have to grab the user's attention or they go away, sometimes literally. The other important fact to consider when using flyers is the location and timing. These have to be perfect to allow customers to even pay a morsel of thought to the flyer. Then comes the design, which unlike traditional approaches needs to grab the visual space and lead the reader to the essence, brand delivery. Many design agencies get the timing right and they are able to grab the user's attention with sometimes bold and extravagant colors. Not many are able to lead the user's eyes to deliver the brand message. Those that are able to achieve this hardly seem to create a lasting impression of the brand. Dubai Monsters has mastered the dark art of delivering a powerful message to the users. Using years of experience designing flyers and subjecting them to audiences, Dubai Monsters has learned the tricks required to deliver the brand message across. Dubai Monsters, being a leading digital design studio in Dubai, knows all the tricks and tips of professional flyer designing and the team of brochure and flyer designers here is heavily equipped with talent to make your brand’s flyer look the most amazing one. Dubai Monsters specializes in designing crisp and engaging flyers that are tailored to bring more customers to a brand’s doorstep. Dubai Monsters simply delivers the most striking flyer design services at the highest quality. We dedicate a team of creative designers on every task we get and make sure that the work is done with no compromise on quality at all. And this is the very reason why Dubai Monsters is the voice behind many flyer designs in Dubai. 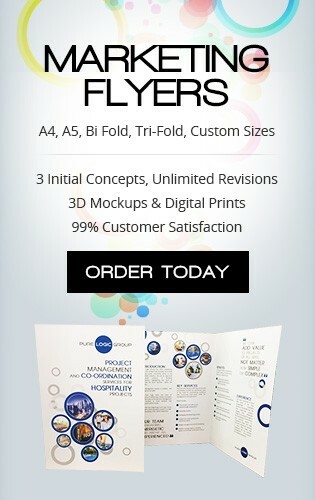 Get absolute brand delivery with our novel ideas for flyer design that are remarkable in every way. With the right quality and impeccable brand delivery, Dubai Monsters stands as a firm figure behind many successful flyers designs that has really made an impact. "Working with Dubai Monsters was real fun. They are very comfortable to work with and the best part is that they never bore you with old conventional methods of working."